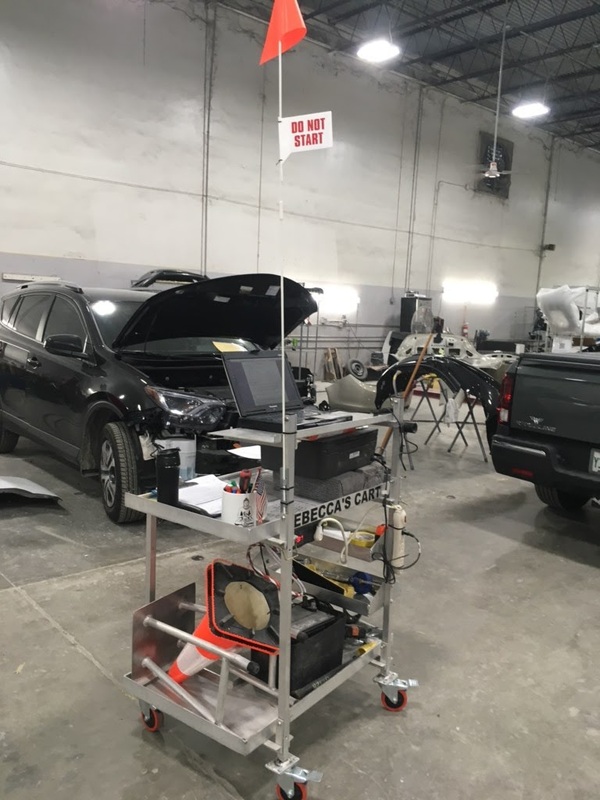 PRF Shelving Solutions not only builds portable shelving systems for rental box trucks, high-top vans, trailers, package trucks and utility spaces, but we also build specialized utility carts for people who have a specific need for their job or hobby. 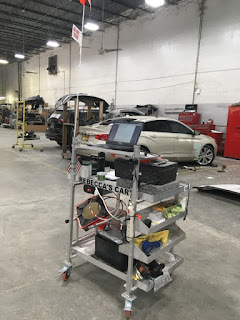 The utility cart seen here is used by a service writer for a large body shop. Rebecca needed a cart that would carry her computer, power supply, reference books and various tools. We also provided her with a custom aluminum stool so the cart could be used as a mobile desk as well. On top of all of that, the cart folds up similar to our shelving systems. Before reaching out to PRF Shelving solutions, Rebecca was making do with an inexpensive cart that did not meet her job related needs. 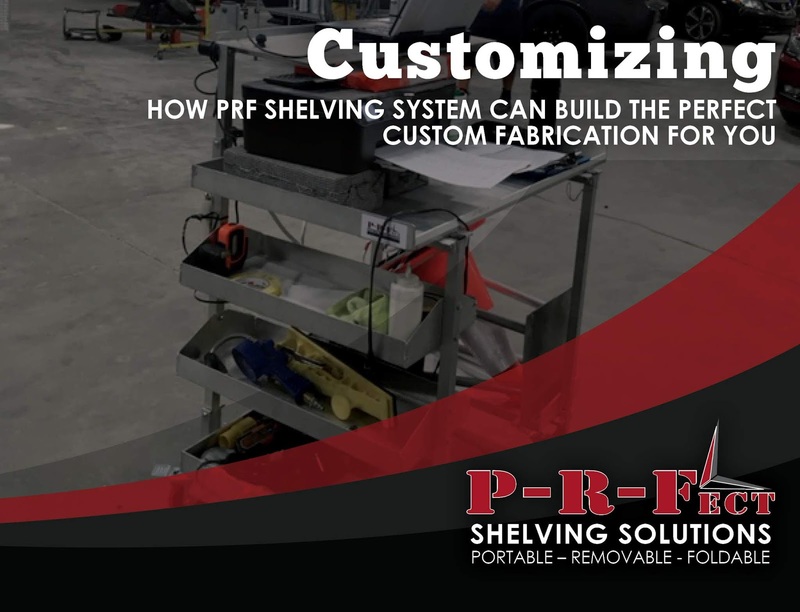 So if you folks out there are looking for ways to make your business or hobby easier to manage, check out PRF Shelving Solutions. Give us a call or drop us an email and describe what you need. PRF Shelving Solutions is looking forward to bringing convenience to your life.